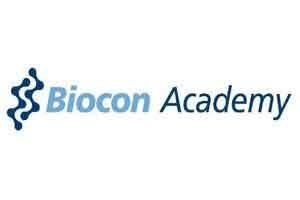 Bengaluru: Biocon Academy, a CSR initiative of Asia’s leading biotechnology company, has announced the introduction of a new and unique program in Quality Control Microbiology (QCMB) in collaboration with the Birla Institute of Technology & Science (BITS) Pilani. The exclusive program is designed to enhance the knowledge and skills of aspiring microbiologists, pharmacy, and biotech graduates. The partnership envisions to accelerate learning in the fast-growing field of microbiology and enhance the employability prospects of students in biosciences. The program is designed to offer experiential learning by combining the real world insights with class room learning on various aspects of Microbiology through an intensive curriculum delivered by a renowned faculty of BITS Pilani and Biocon Academy. The admissions are open now till 15th Feb, 2016, and the course will commence from next month at Bengaluru. The 8-week intensive Quality Control Microbiology program consists of live experiments at the state-of-the-art Quality Control Labs of Biocon to further accentuate the learning of the students. The module covers various aspects like Fundamentals of Microbiology, Quality Control, Environmental Monitoring, Microbial Enumeration, Sterility Testing, Bacterial Endotoxin Testing, Isolator Systems and Rapid Methods in Quality Control Microbiology. The program is also open for experienced professionals in the world of biosciences who are passionate and eager to enhance their skillsets & knowledge in the field of Quality Control in Microbiology. Curriculum: The 8-week intensive Quality Control Microbiology program consists of classroom learning, mentorship by experts and live experiments at the state-of-the-art Research and Quality Control Labs of Biocon.